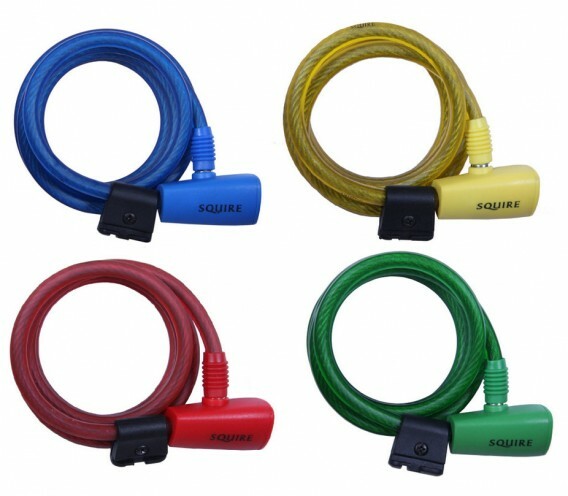 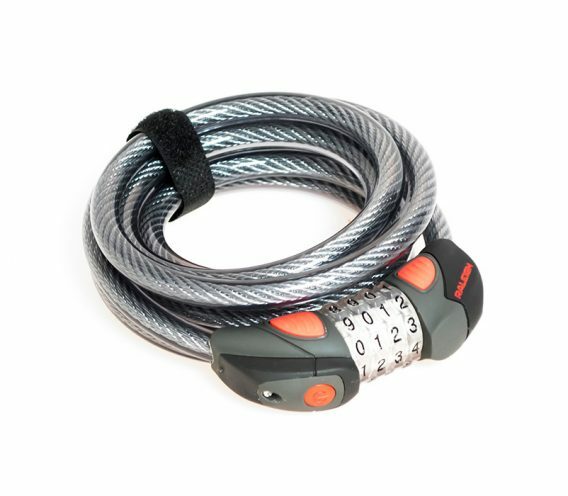 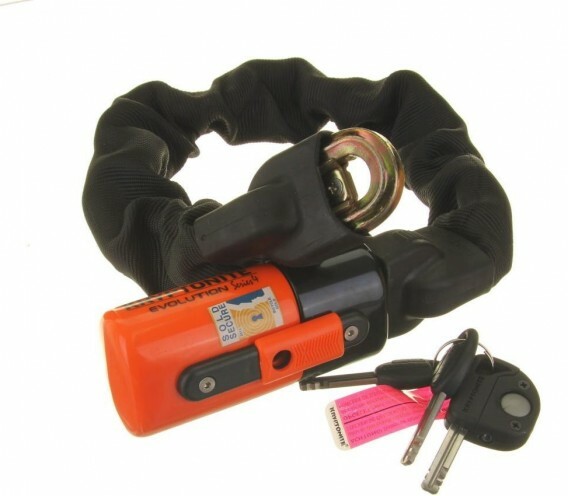 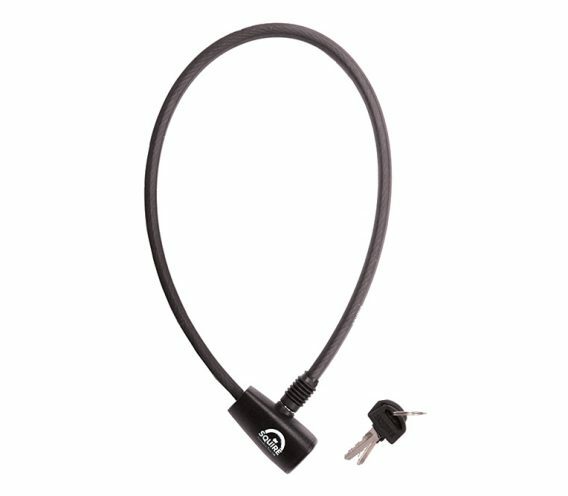 The self coiling cable is quick and easy to use with integrated lock head. 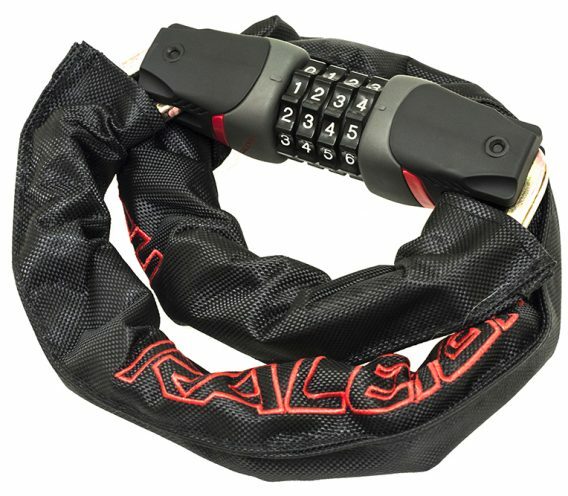 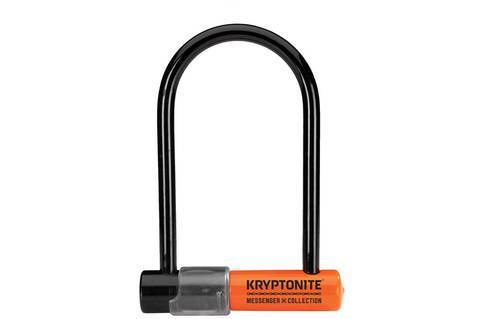 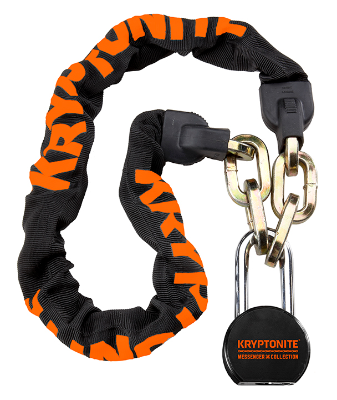 The Kryptonite Evolution Series 4 1055 Integrated Chain Lock uses six-sided 10mm thick links made from hardened, triple heat-treated Boron Manganese, with a Nylon-webbing sleeve to protect against scratches. 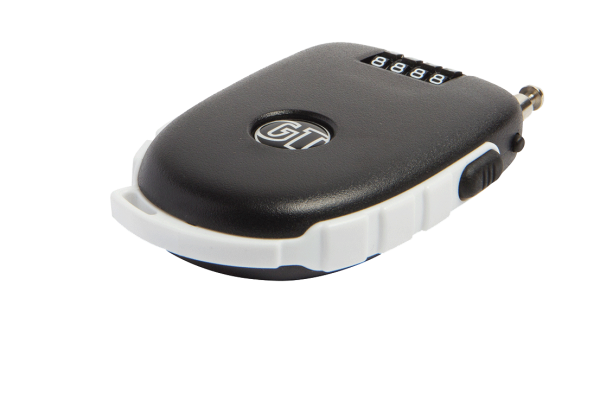 The integrated lock uses a disc-style cylinder for optimum security and comes with five keys, one of which has a built-in LED light.